Tom Killion began making wood and lino-cut prints specifically for handprinted book illustrations in his late teens. 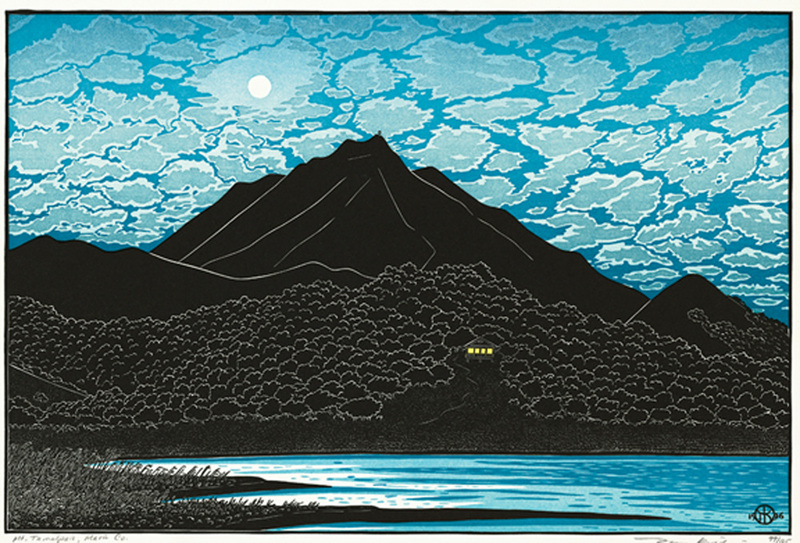 His first illustrated book was Twenty-eight Views of Mount Tamalpais, completed when he was 21. He printed his original blocks on handmade Japanese paper, accompanied by haiku-style poetry handset in metal type. This introduction to fine printing set the tone for much of his later work, and two of his succeeding handprinted books, The Coast of California and The High Sierra of California, were similar in style, although larger in size and more ambitious in the number, size and coloring of the images. Walls: A Journey Across Three Continents. This is a beautiful book, handprinted on both sides of handmade Japanese Torinoko paper, which, one reviewer noted, demonstrated Killion's "mastery of the black art" of letterpress printing, as the translucent kozo-paper necessitated perfect "back-up" of type lines on both sides of the sheet. Walls took Killion most of the 1980s to produce, has 65 original illustrations and includes many of the artist's earliest multi-block reduction-cut color prints. 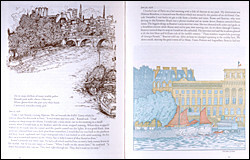 Most of the prints are of European and African scenes (see Europe & Africa web page), while the text is drawn from Killion's travel journals of the 1970s and 80s. 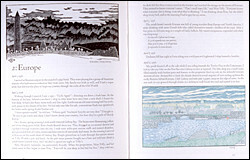 However, the opening frontispiece of the book is the state II, 3-color print of "Steep Ravine Beach", while several scenes from the Pacific Northwest and Yellowstone appear in the first section.